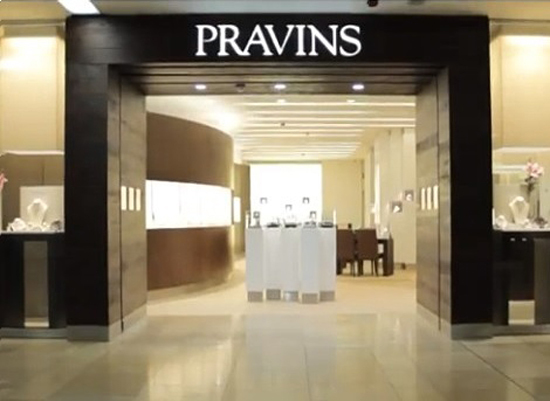 As part of the extended St David’s Centre in Cardiff, Pravins sits prominently at the junction between the original mall and the modern redevelopment. 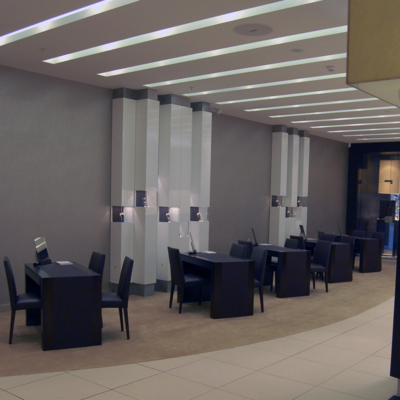 As part of the extension of St David’ Shopping Centre we undertook a complete shell fit out project for our client. The works included full M&E installation, sprinklers, steel staircase, partitions & ceilings, full height glazing to 2nr shop front elevations and all internal finishes including flooring, bespoke joinery & decorations. We were pleased to be able to provide a full fit out package to our client covering all elements of the work including M&E services, MF walls & ceilings, entrance portal & shopfront, floor finishes, decoration and bespoke joinery to showcase our clients exclusive range of jewellery.